20 years after its release the Wachowski siblings’ The Matrix still holds up extraordinarily well as a sci-fi classic. Utilizing state of the art special effects and stylized action choreography from Hong Kong master Yuen Woo-Ping (Drunken Master & later Ang Lee’s Crouching Tiger, Hidden Dragon) The Matrix created an action blockbuster often imitated but never quite replicated. 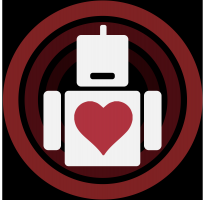 Complimenting its stellar action sequences with a beautifully created post-apocalyptic world that ponders deeper questions on Artifical Intelligence and singularity, these questions have only become more pertinent as our relationship with technology continues to deepen. 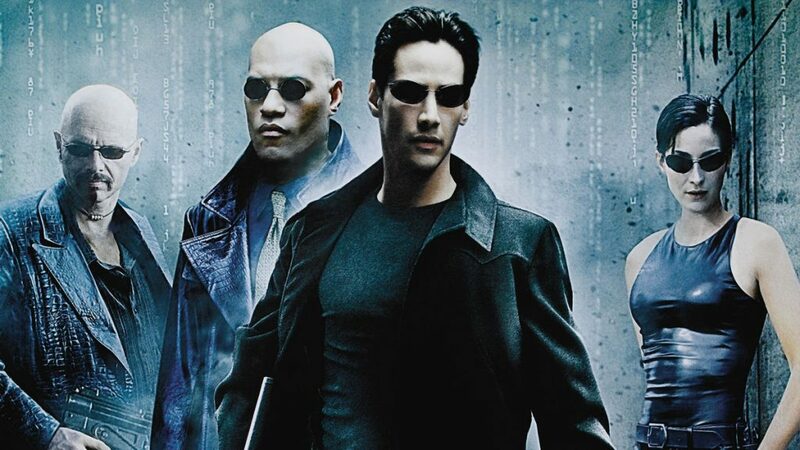 In the years following The Matrix‘s release, we’ve seen blockbusters only grow in size and scale but what separates the Wachowskis’ masterpiece from those that have followed it is its ability to work the action and deep sci-fi lore in tandem with one another (something even its sequels had difficulty balancing). Like many of its 90s peers, the film carries the rebellious overtones that marked the era expressing a desire to take risks and explore things never seen before on screen. In a sense, this is why 1999 was such a monumental year in movies because it was a showcase of directors challenging the status quo – a spirit sorely lacking in the big blockbuster films of today. Only a few short years after revolutionizing the field of animation with the first Toy Story film, Pixar released another animated masterpiece with a rare sequel that is equal to, or debatably better than the original, Toy Story 2. 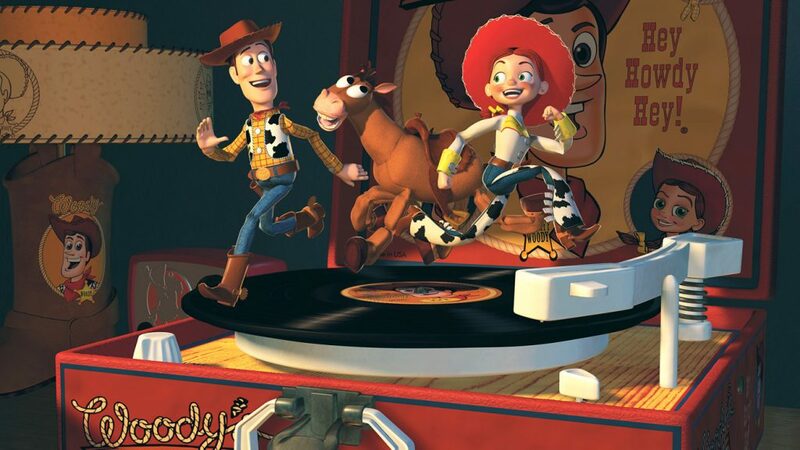 Originally conceived as a direct-to-video sequel, Toy Story 2 was given a theatrical release once the creative team had discovered that they truly had something special on their hands. Toy Story 2 improves upon the original in ways that every good sequel should. It heightens the stakes, broadens the scope, and introduces fun, lovable new characters that earn their places among the original cast that we’ve already grown to love and cherish, from Wheezy the squeeze toy penguin, Buzz Lightyear’s arch nemesis Emperor Zurg as well as a duplicate Buzz, and most importantly, Woody’s Roundup mates, Jessie and Bullseye. Along with the sympathetic yet intimidating Prospector Stinky Pete, played both compassionately and menacingly by Kelsey Grammer, Toy Story 2 is a hilarious, exciting, and heartfelt adventure that helped elevate Pixar’s brand when they were still an up-and-coming studio. Twenty years later, not only is it still a beloved animated classic, but we are also awaiting the fourth installment to be released later this year. Director/screenwriter Frank Darabont delivered one of the true modern greats of cinema with 1994’s The Shawshank Redemption (which celebrates its 25th anniversary this year); based on the novella by Stephen King, Darabont could have come off the success of Shawshank and remained a one hit wonder, but just five years later in 1999 he once again presented a masterful cinematic adaptation of another Stephen King literary gem. 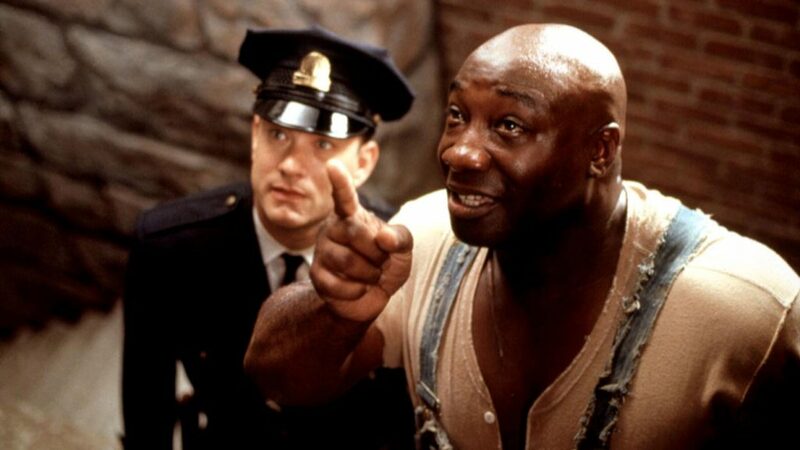 The Green Mile shines in its ability to convey genuine emotions and thought provoking questions to its audience. Indeed King and Darabont have succeeded in these works in showcasing that the real menaces in life are not demonic clowns or possessed dogs, but humans themselves. Conversely the real heroes and the ones who redeem this sometimes despicable thing that is human existence are humans who hold steadfast in the belief of goodness and love.Though it contains elements of fantasy and the supernatural, at its core The Green Mile is a tale of the human spirit and its ability to move and transform those we interact with. Nominated for four Academy Awards (including Best Picture and Supporting Actor for Michael Clarke Duncan), the movie is an intelligent and emotional experience that further showcases the great versatility of Stephen King’s mind and the power of hope. 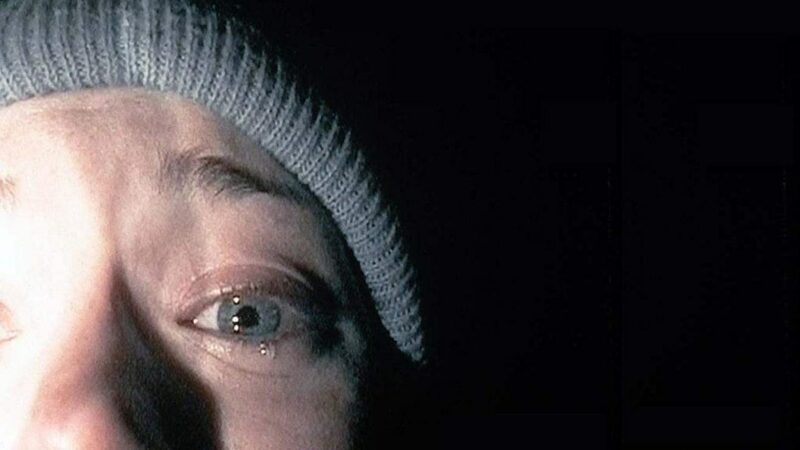 1999 was a year home to many cinematic breakouts and success stories, but there’s perhaps no other film that burst onto the scene quite like The Blair Witch Project. Premiering at the Sundance Film Festival under the guise of being completely authentic footage, “the little film that could” gave birth to viral marketing and the “found footage” subgenre in the mainstream on its way to becoming one of the most profitable films in history. And while that illusion has been shattered with the rise of the Internet, The Blair Witch Project still stands as a remarkably chilling horror movie that thrives in its sense of restraint. Directors Daniel Myrick and Eduardo Sánchez never show the Blair Witch or outright confirm or deny its existence, and in doing so perfectly show just how powerful the unseen can be, namely in the terrifying final scene. But maybe even more affecting is how it simultaneously serves as a character study, one that shows just how little it takes for us to fall apart, to begin pointing fingers and shifting blame. There have been two attempts to recapture the same lightning in a bottle, and both failed rather spectacularly: it’s safe to say there will never be another film quite like it. Historically framed as “important” for its role in combating sensors and good taste during the late 1990s, the relevance of South Park has wained in recent years. Parker and Stone’s bite and edge have not necessarily been filed down, but they no longer draw blood; even if it did, it seems like the ocean is made of blood nowadays. 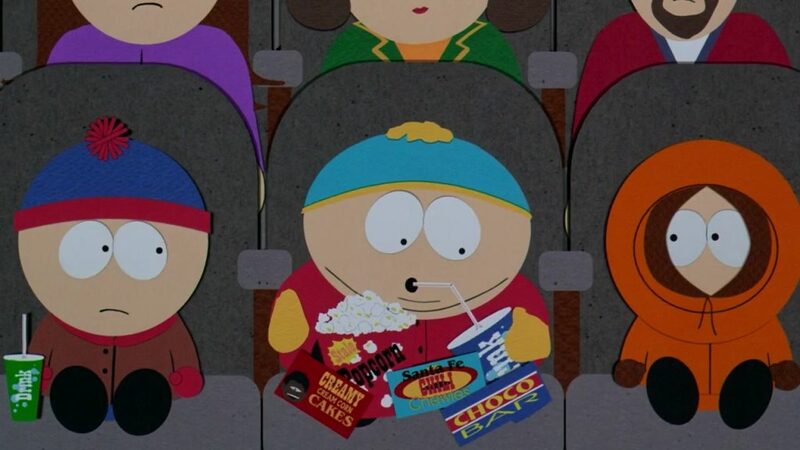 Go back to 1999 and South Park: Bigger, Longer, & Uncut is the most dangerous feature for minors, not because of its record-breaking use of “the f word” and its depiction of a homosexual relationship between Saddam Hussain and Satan, but for its transition into the pinnacle of Parker and Stone’s scathing inditement of establishment orthodoxy; yes, media can aid in long term corruption, but the morality of the means are often more essential than the ends. In 1999, they found their footing and the combination between the show’s humor and cultural insight has never been more balanced. South Park: Bigger, Longer, & Uncut is a comedy, a musical, an action film, and a surprisingly engaging dramatic continuation of the show’s characters and morality even if you’ve never watched the show. This is the paramount point of South Park, pun intended.